Joint pain can be caused by injury affecting any of the ligaments or tendons surrounding the joint. Injuries can also do damage to ligaments, cartilage, and bones within the joint. In each case, pain will accompany the damage done to your joints. Pain is also a feature of joint inflammation and infection. If the pain is inflammatory, then the term "arthritis" is used. If the pain is non-inflammatory then the term "arthralgia" should be used. At Pain Management Associates, we offer a tailored program designed specifically to fit your needs and return you to as pain-free a lifestyle that modern techniques can allow. 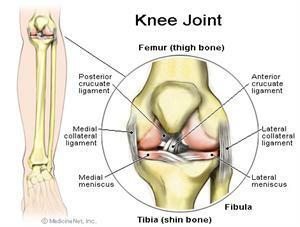 For knee pain, we give a synvisc injection. Pain Management Associates will work with your personal physician in caring for your ailments. If you live in the Fort Wayne area and are suffering from this type of pain, give Pain Management a call to set up a consultation.